Long before its controversial roles in the 2016 Brexit vote and U.S. presidential election, Cambridge Analytica influenced elections in Africa. The company’s first involvement in Africa dates to the general election in South Africa in 1994. That election marked the end of the apartheid era and the ascent of Nelson Mandela to the presidency. Widespread violence and deep-seated societal fractures had put the elections in jeopardy, Martin Plaut, a journalist and senior research fellow at the University of London’s Institute of Commonwealth Studies, told VOA. A political party — unnamed, but most likely the ANC — hired Cambridge Analytica to mitigate election violence, according to the company’s website. Their exact role in the election hasn’t been independently verified, but the violence subsided during and after the historic vote for Mandela and the ANC. 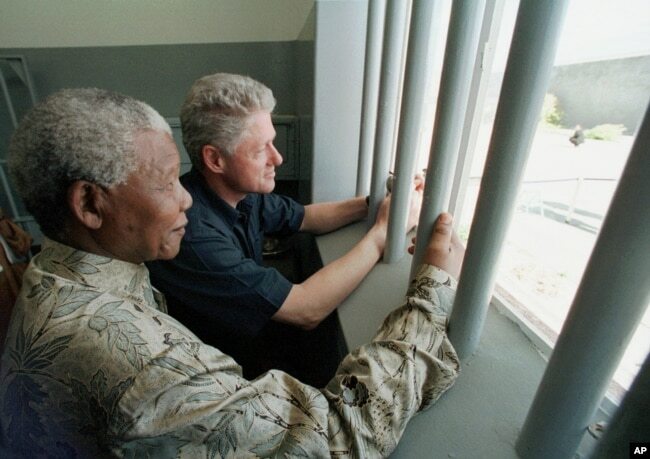 FILE – In this March 27, 1998 file photo, Nelson Mandela and former US president Bill Clinton look to the outside from Mandela’s Robben Island prison cell in Cape Town, South Africa. More recently, Cambridge Analytica worked with Kenya’s ruling Jubilee Party ​— not to build consensus, but rather to exploit divisions to re-elect President Uhuru Kenyatta. Similar allegations of malfeasance have emerged in Nigeria. 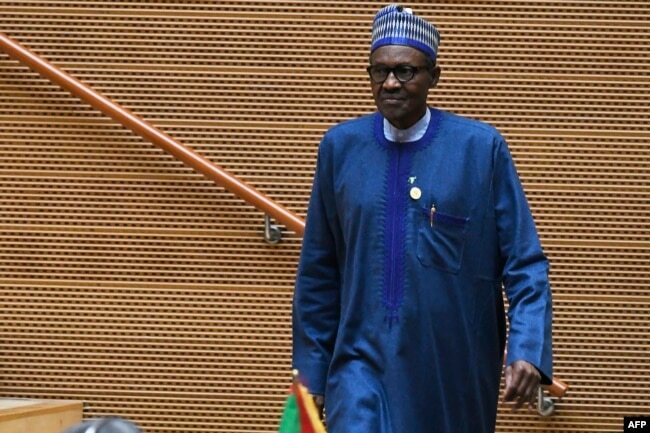 The Guardianreported Wednesday that Israeli hackers provided Cambridge Analytica with President Muhammadu Buhari’s personal emails. Nigeria’s president, Muhammadu Buhari, walks after speaking at the opening of the Ordinary Session of the Assembly of Heads of State and Government during the 30th annual African Union summit in Addis Ababa, Jan. 28, 2018. Data analysis companies such as Cambridge Analytica provide information to governments and political parties, Plaut said, to influence “people in the middle” — those with moderate views who can be persuaded to join a side through appeals to emotion. These companies analyze precisely whom to target and craft messages that play on hopes and fears, not facts, according to Plaut. Social media platforms such as Facebook and WhatsApp, which Facebook bought in 2014, provide an in-depth view into people’s likes and dislikes — from which psychological profiles can be built and exploited to change behavior through tailored messaging. Julie Owono, executive director of Internet Without Borders, a group that advocates for online freedom and privacy, told VOA’s French to Africa service that her organization has been warning about the dangers of letting companies like Facebook collect the personal data of billions of people around the world. “Since 2010, we’ve been saying that countries with low-to-nil data protection are testing ground for worst practices by companies and governments,” Owono tweeted. SCL partnered with the Ghanaian Ministry of Health, along with a major British construction company, to research the country’s attitudes toward the health care system.